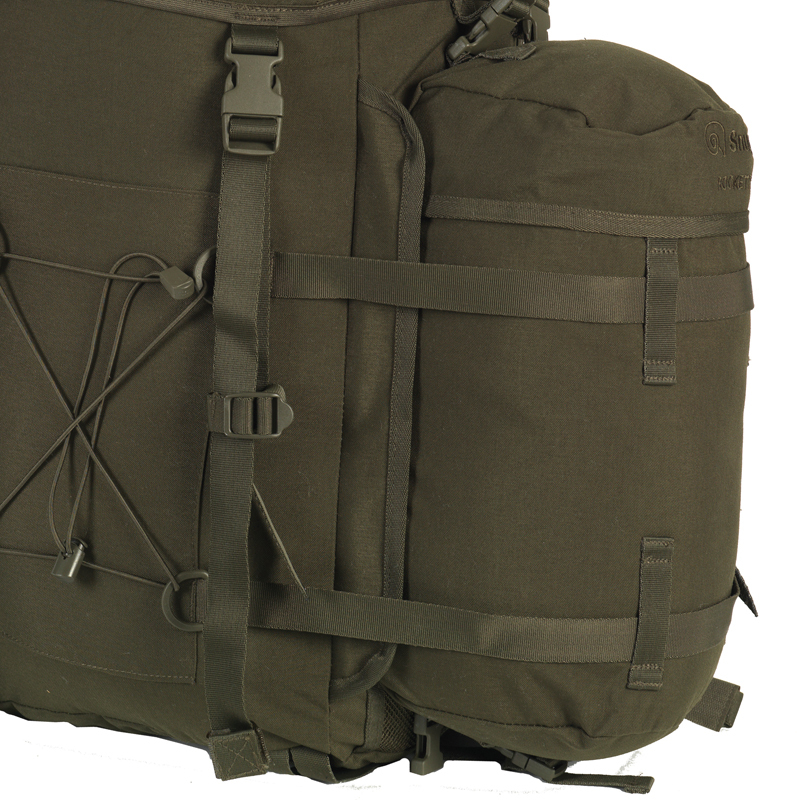 The RocketPak has a very spacious and versatile 2,457 Cubic Inches / 40 Liters main compartment. 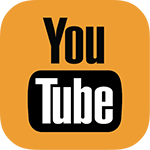 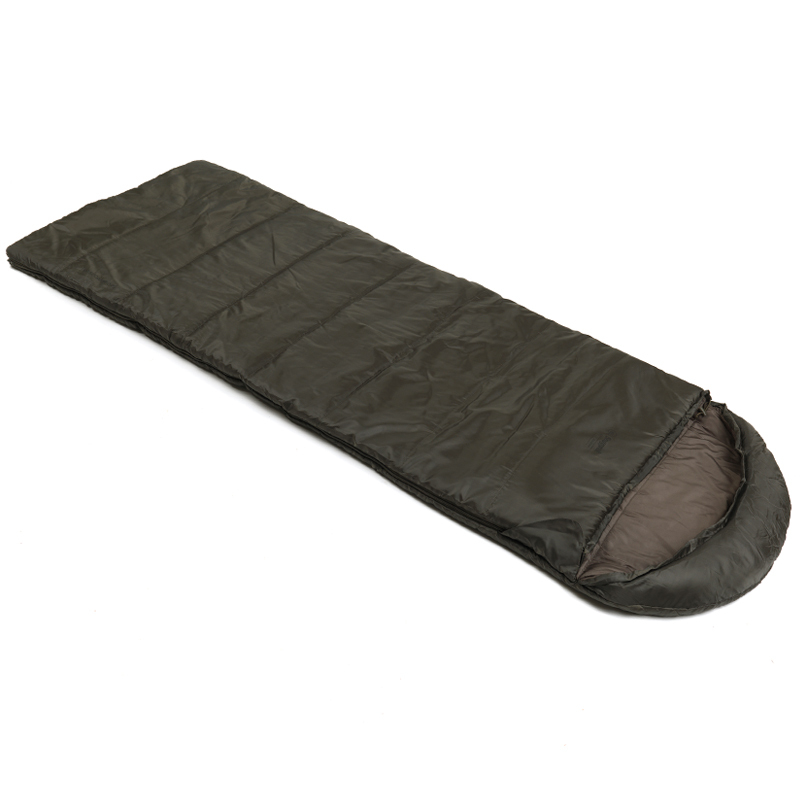 It contains an aluminum removable stay. 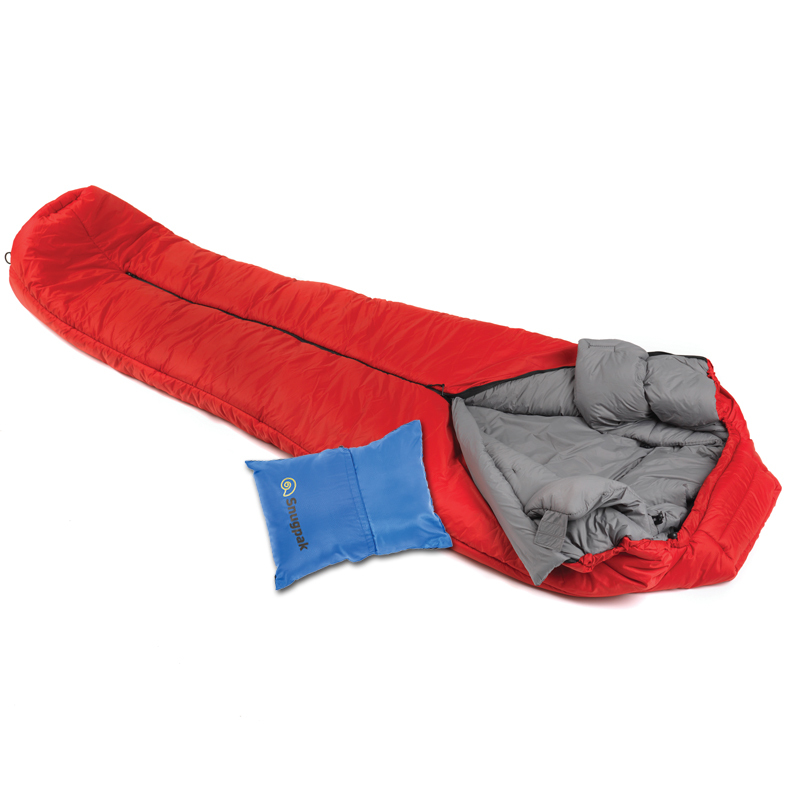 Removable Stays can be removed and then bent to fit your back. 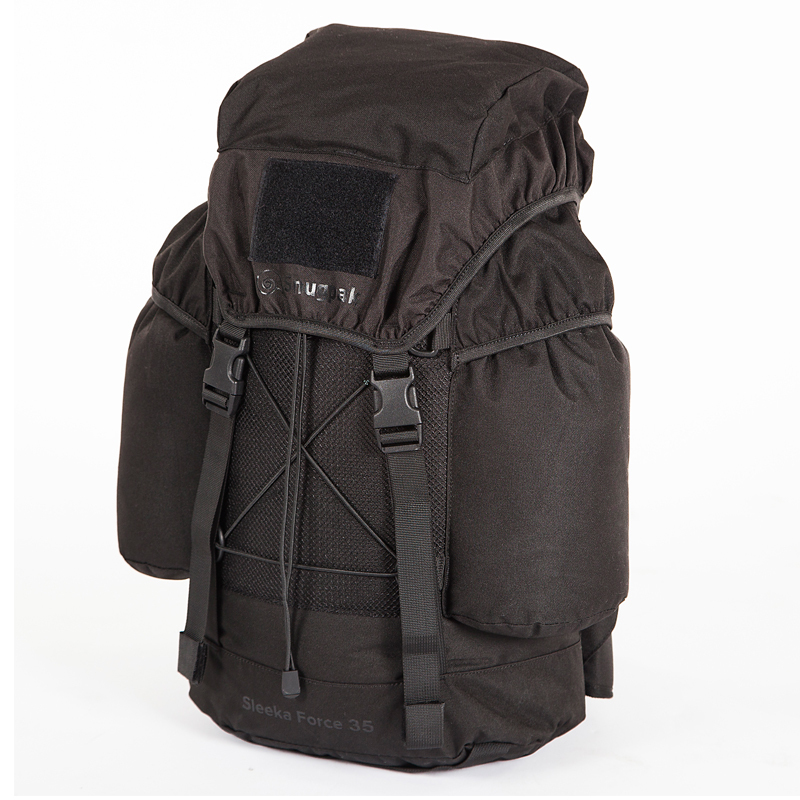 It also has an internal pocket/sleeve for a hydration system. 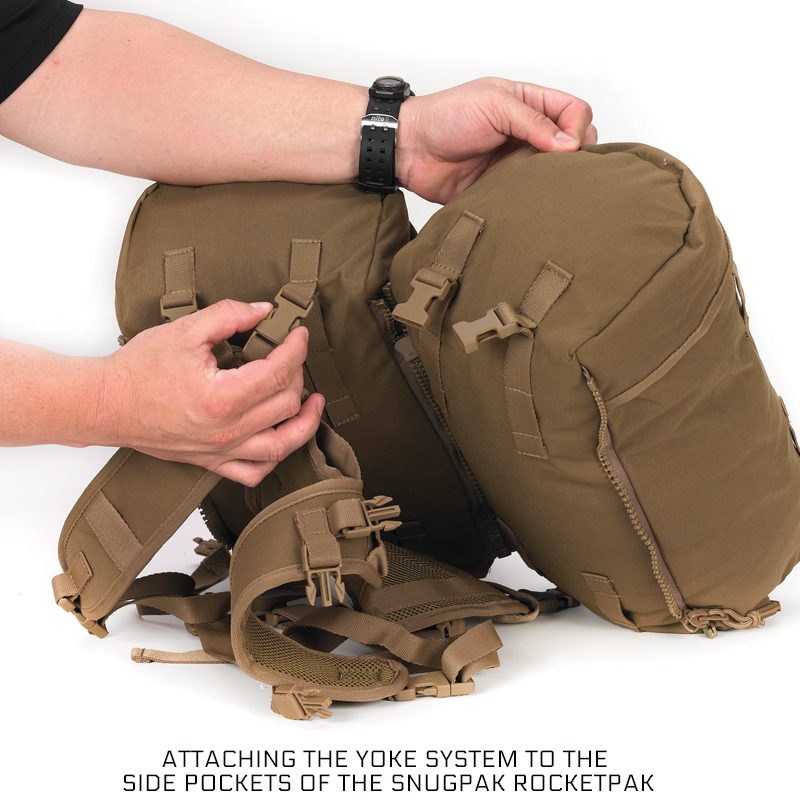 Also another unique and versatile feature of the RocketPak is its two removable side pockets (918 Cubic Inches / 15 Liters each) are compatible and attach to the Snugpak Yoke System. 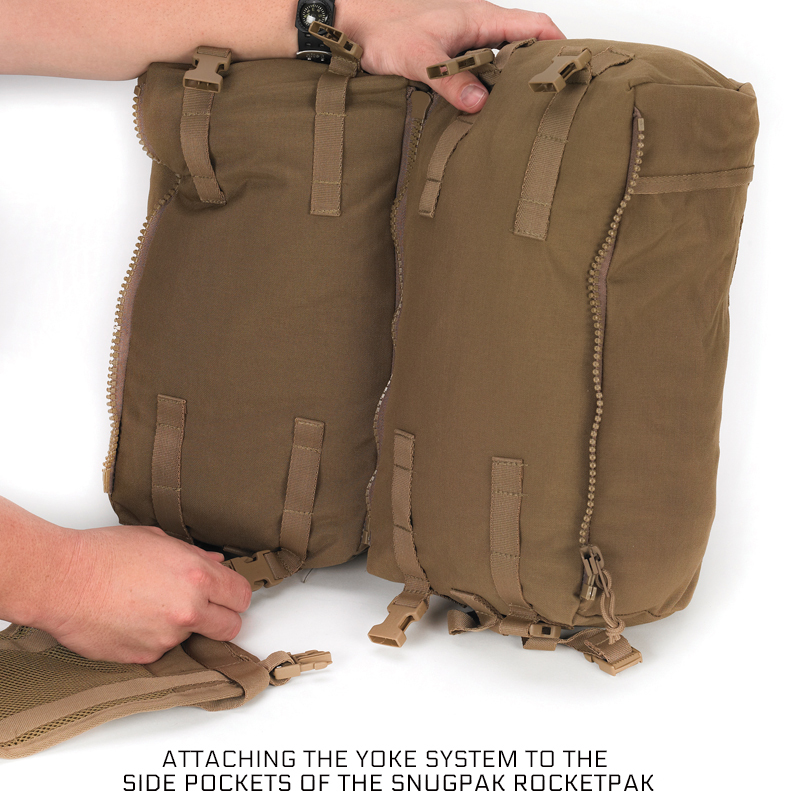 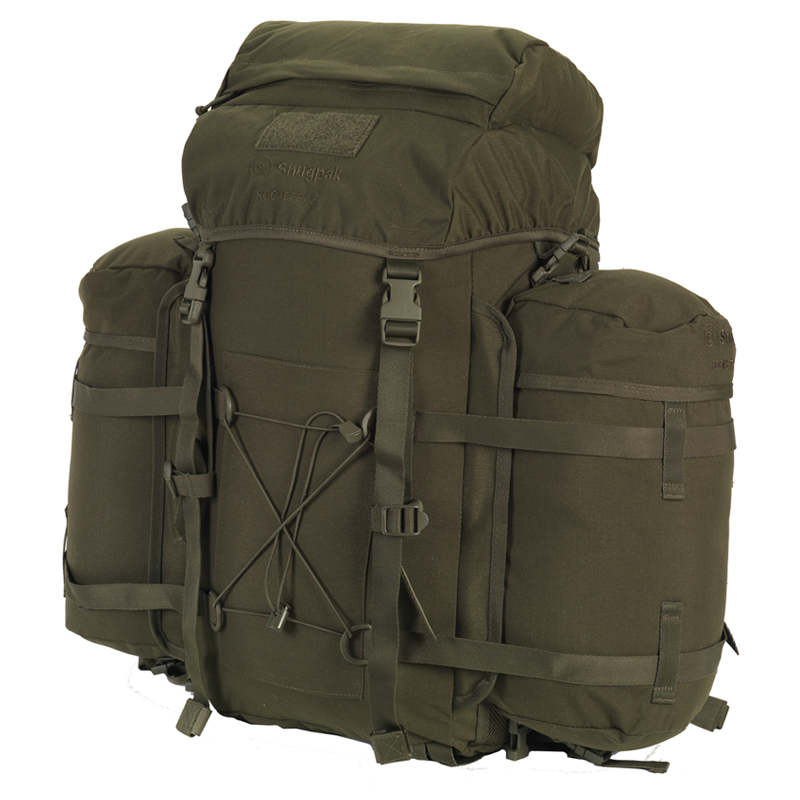 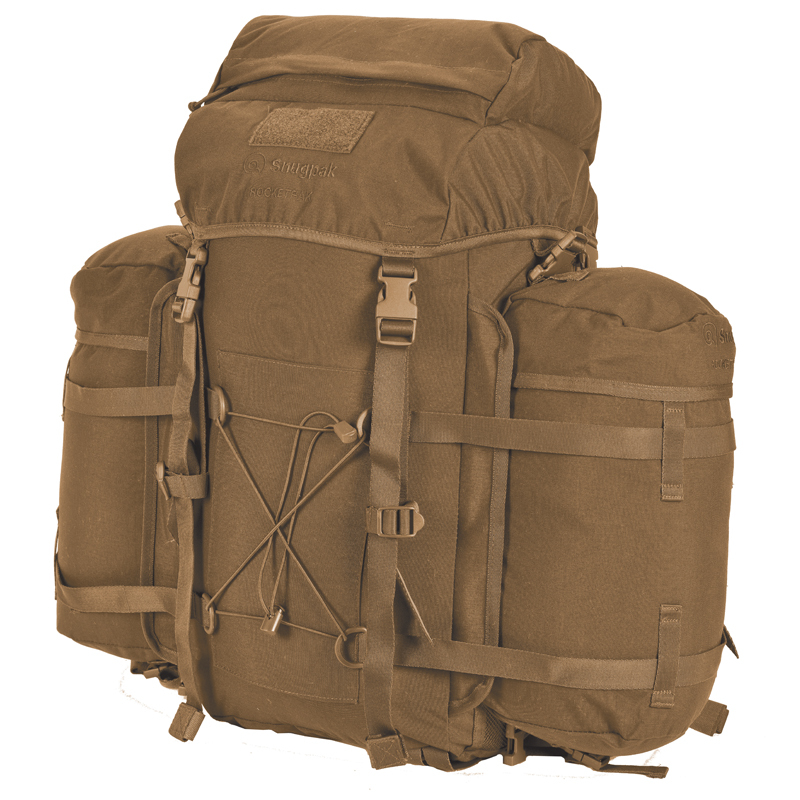 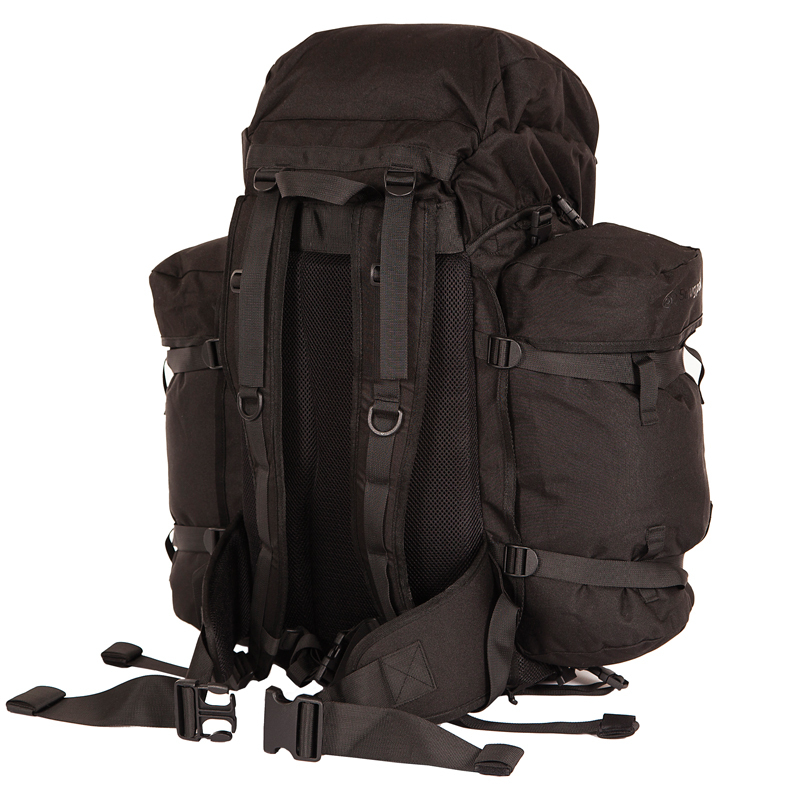 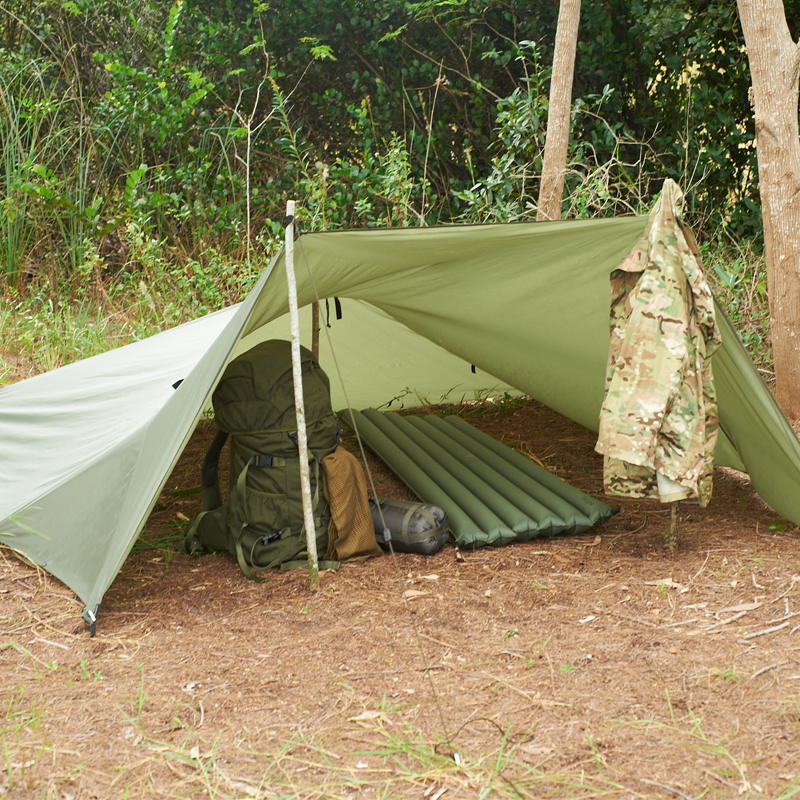 When the side pockets are attached to the Snugpak Yoke System can be made giving the user a 1,836 Cubic Inches / 30 Liter daypack. 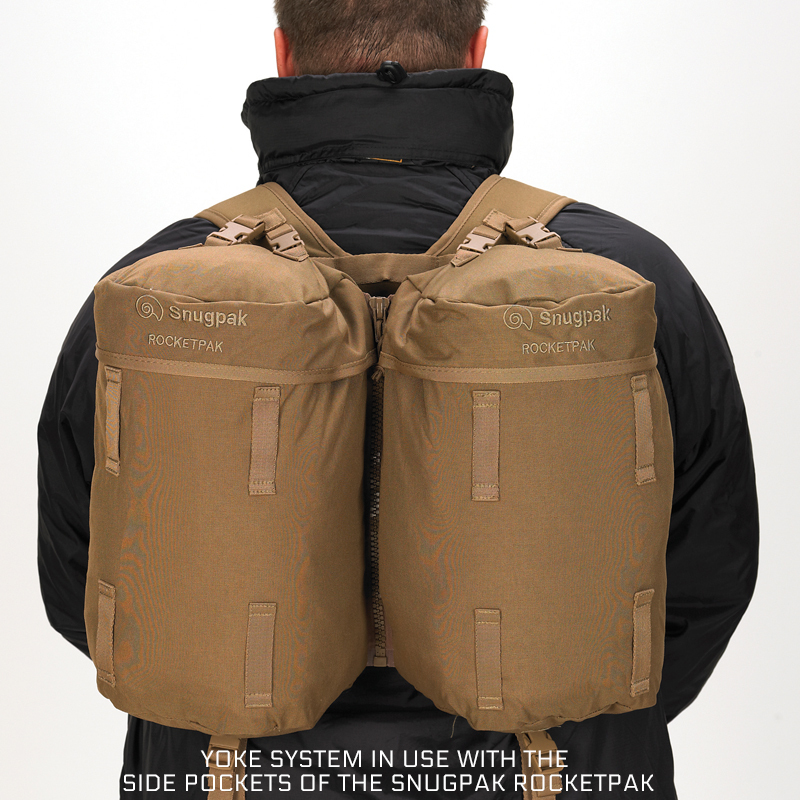 The RocketPak's back panel system is a heavily padded air permeable system for comfort and outstanding back protection. 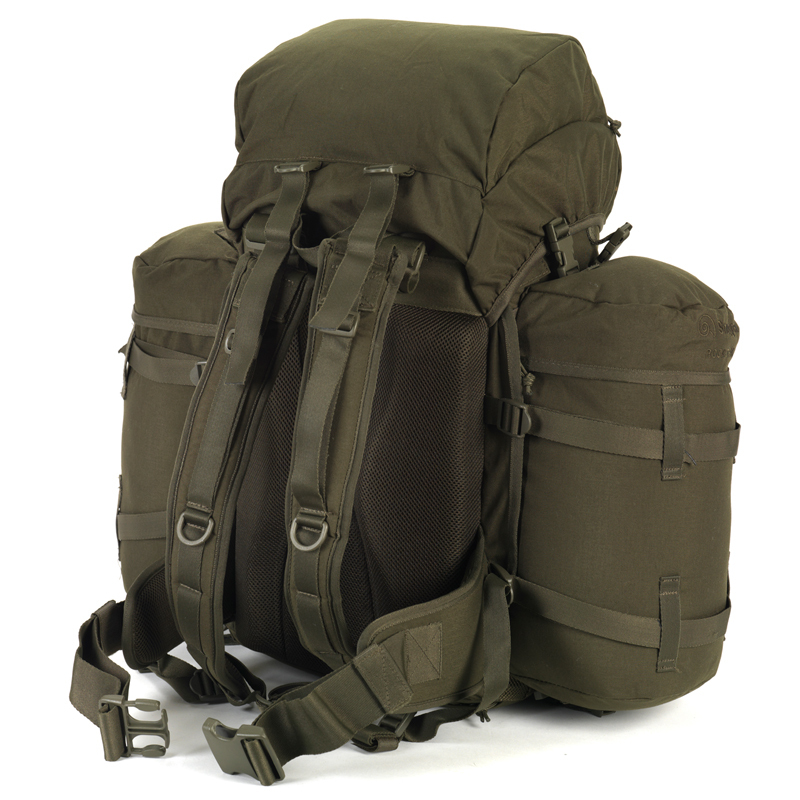 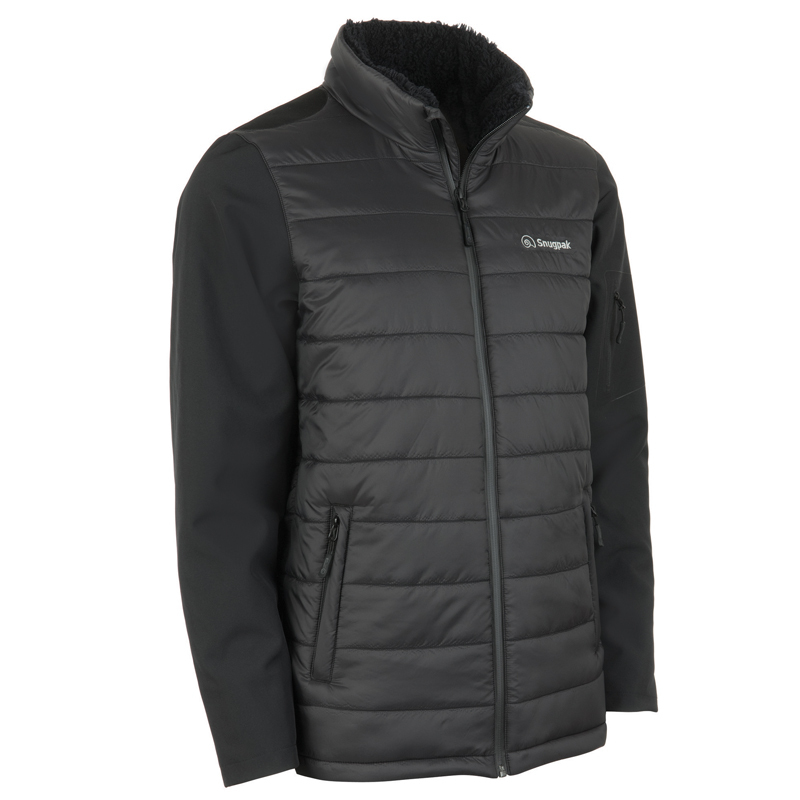 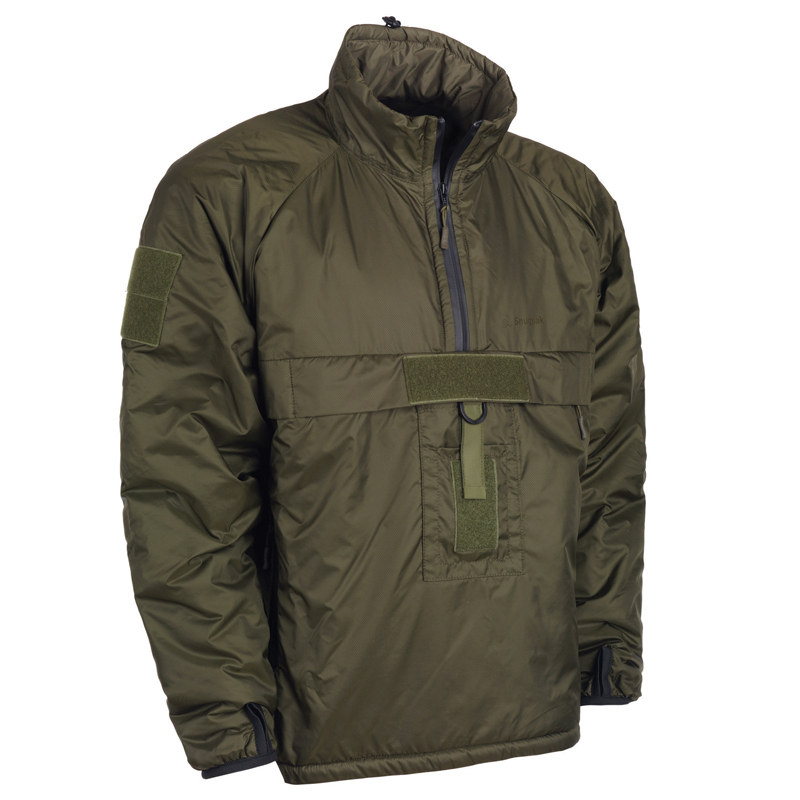 It also has contoured and heavily padded shoulder straps faced with textured high wicking fabrics. 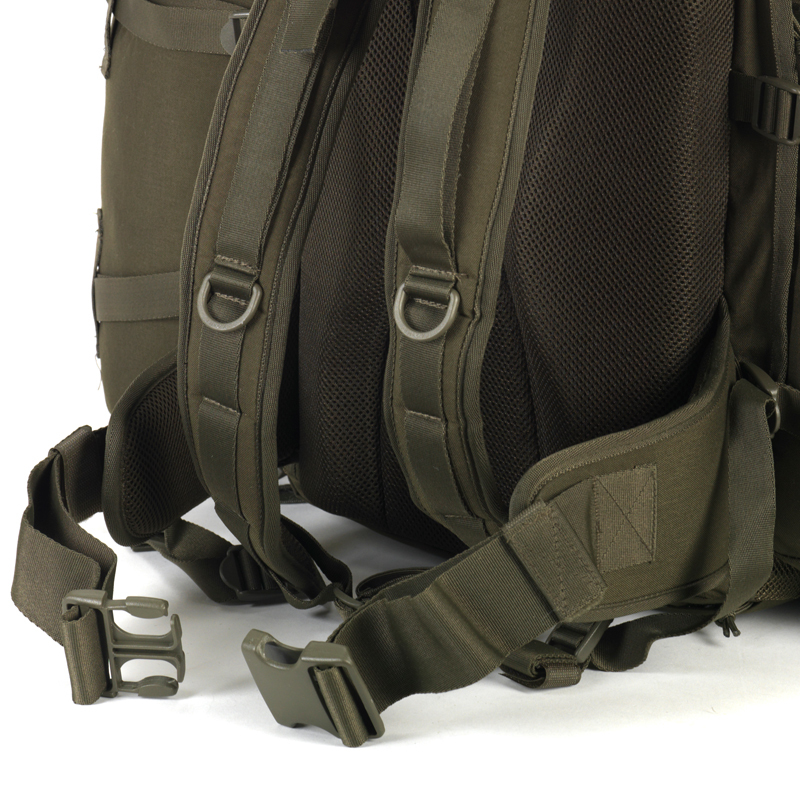 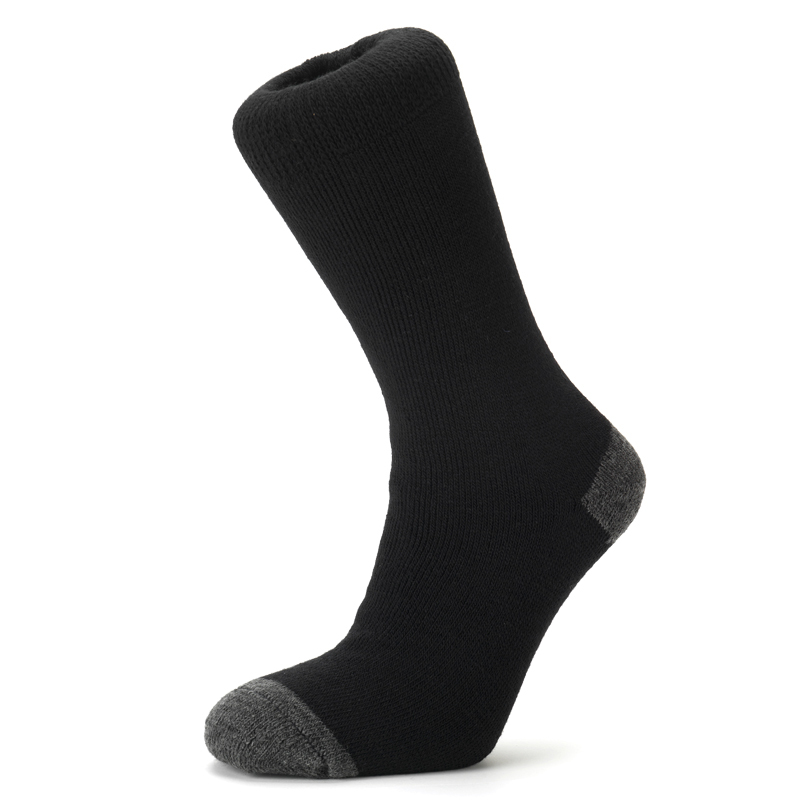 There is a zipper compartment on the top and bottom. 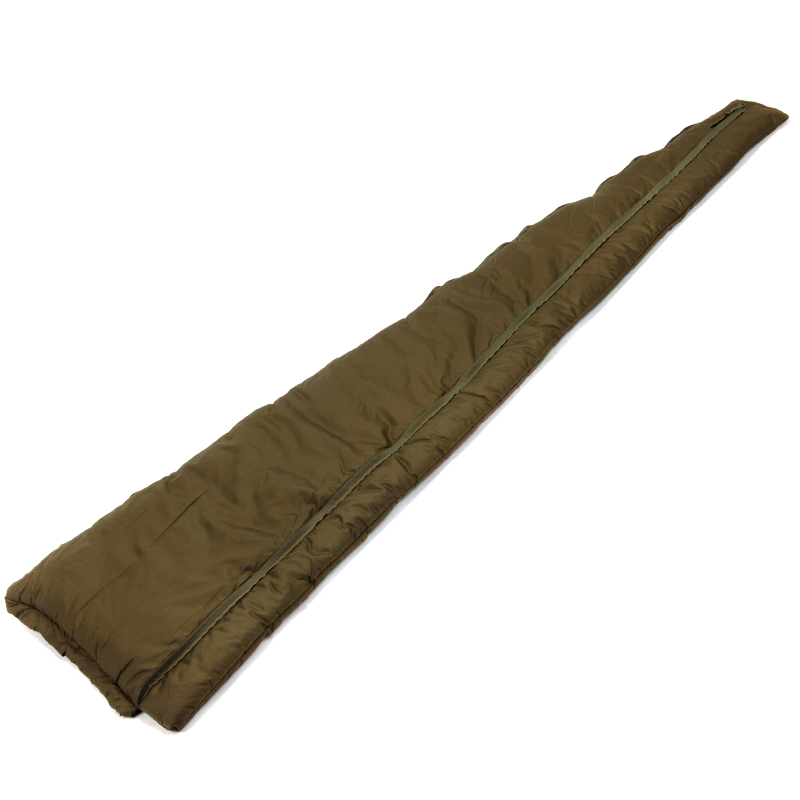 The top zippered compartment is a great place to store those essentials that need to be easily accessed. 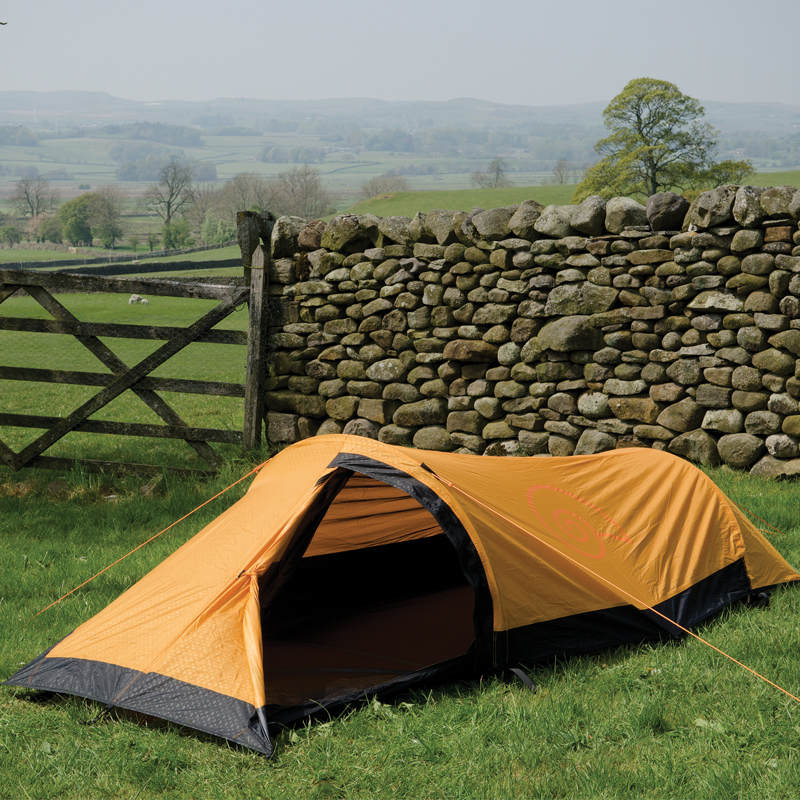 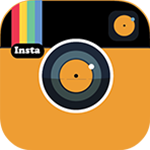 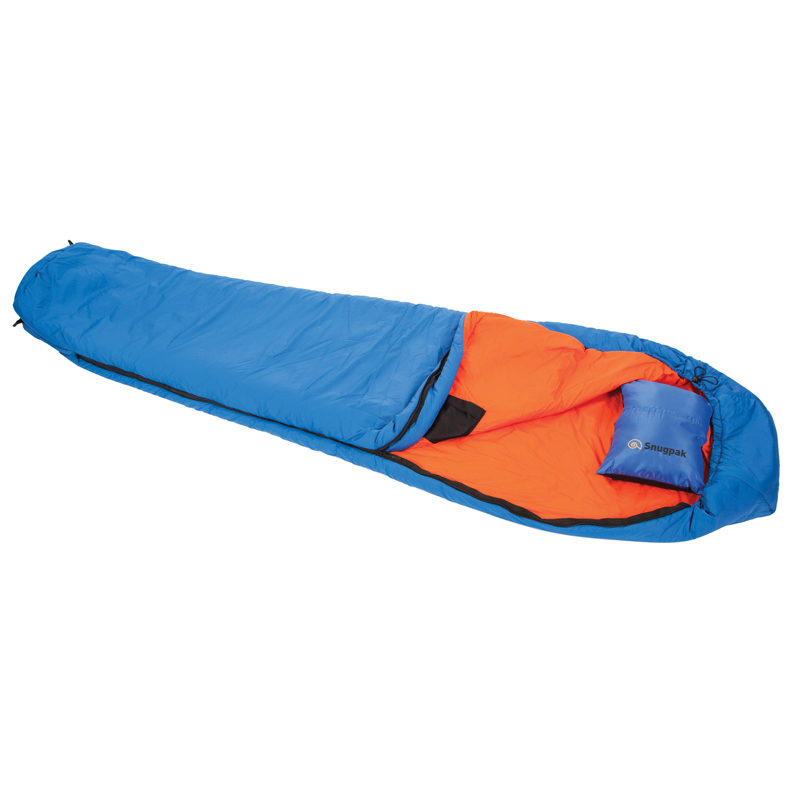 The bottom compartment is designed to house a Snugpak Aquacover which can be purchased separately.